TEHRAN (Tasnim) – Troops from all units of the Iranian Army held massive military parades all over the country on Sunday morning to mark the National Army Day. In capital Tehran, a ceremony was organized near the mausoleum of the late founder of the Islamic Republic of Iran, Imam Khomeini. High-ranking officials and senior military commanders were present at the event. 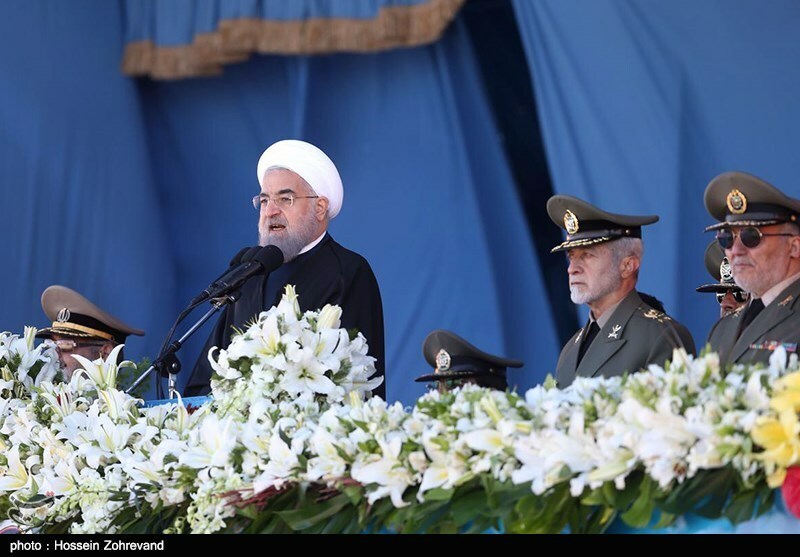 President Hassan Rouhani delivered a speech before beginning of the parades. Army Commander Major General Ataollah Salehi, Chief of Staff of the Armed Forces Major General Hassan Firouzabadi, Defense Minister Brigadier General Hossein Dehqan, Army Ground Force Commander Brigadier General Ahmad Reza Pourdastan and ranking commanders of the Islamic Revolution Guards Corps (IRGC) attended the ceremony. A host of Army units put their latest achievements on display during the parades, believed to be an annual showcase for Iranian Army’s latest weaponry and military progress. The military parades saw units from the Ground Force, Navy, Air Force and Air Defense Force displaying a broad range of advanced equipment such as missiles, tanks, armored vehicles, rifles, Unmanned Aerial Vehicles (UAVs), fighter jets, radar systems and air defense missile systems. 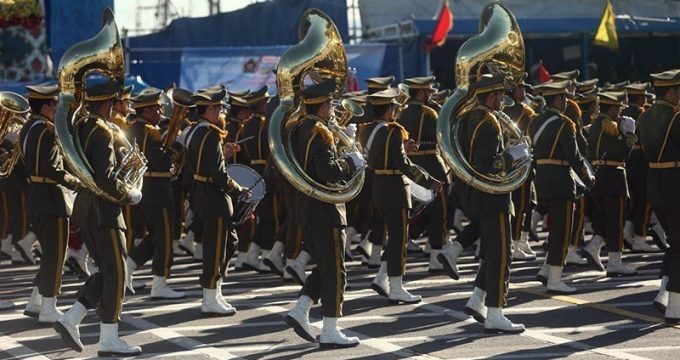 Iran holds the National Army Day every year in honor of its ground, naval and air forces.